Our first 2014 Senior road trip was amazing! We rode the dart train through Downtown Dallas and were able to get a ton of different looks! AND these girls knew how to dress for portraits! Karli, Gabriella, and Jordan were accessorized and dressed to the nines! Karli’s outfit works so well because she wasn’t afraid to wear color. Her shorts and shoes are neutral, so the big pop of hot pink looked great add on some silver jewelry and she was 100% camera ready. Plus hot pink makes Karli’s eyes really pop! Gabriella has a really unique style, so finding something that showed that off was really fun. The metal wave played off her nautical stripe top well, accented by her red nails and lipstick it looked superb. Once Gabby added the cocktail ring it became a fully realized outfit! I can’t even tell you how much I LOVE Jordan’s dress! It’s a beautiful shade of mint which is in style this Spring, the lace detail of the sleeve is beautiful, and it fits her like a glove! 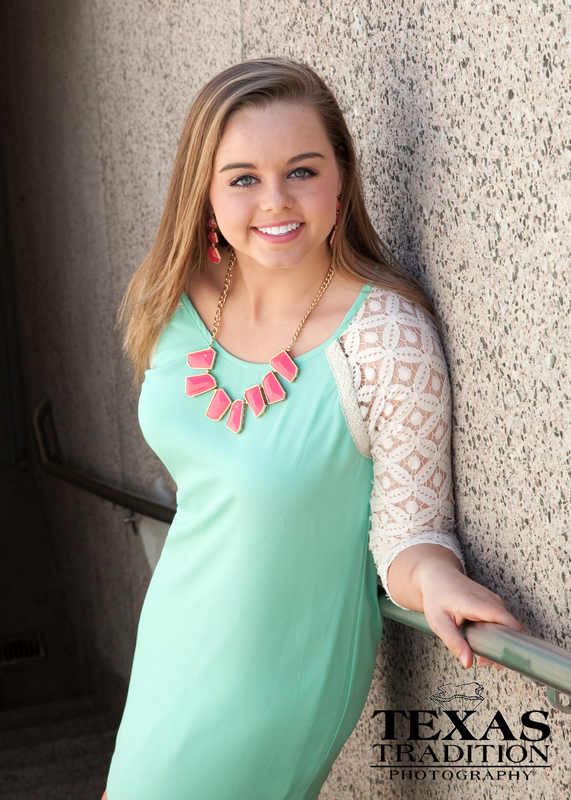 The coral necklace and earrings played really well with the mint, making a fantastic outfit. Jordan looked great everywhere we had her pose, but this image really shows off how photogenic she is! 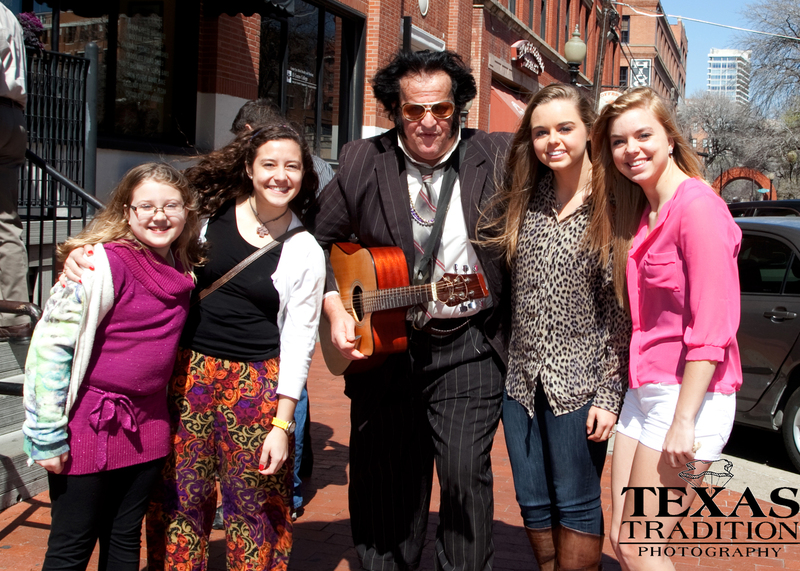 We got to meet Elvis! Okay, so maybe it wasn’t the real Elvis, but it was still pretty cool! Keep an eye out for more of our road trip images on facebook!